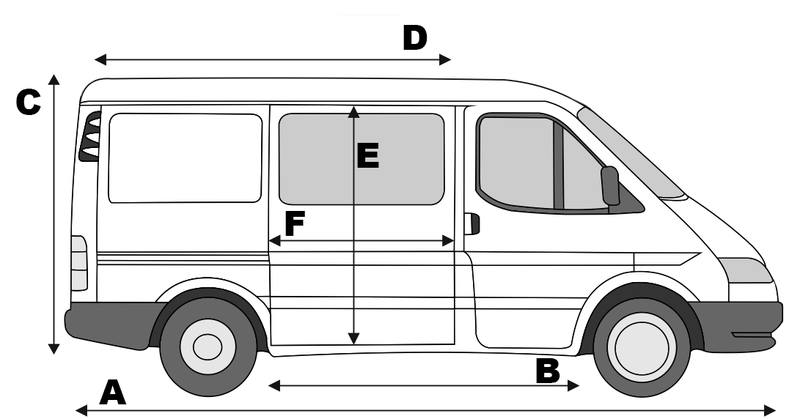 A – Overall length, B – Wheelbase, C – Overall height, D – Maximum loadspace length, E – Slide load door entry height, F – Slide door entry width. Transit Center as an online store offering new and used parts for all models of the Ford Transit can confidently say that Transit MK5 is one of the most popular Transit generation. For many years, our shop has amassed hundreds of information on this model. Below we present you with the basic technical data about Transit MK5. Ford Transit MK5 debuted on the market in 1994 and was produced for the next 6 years until 2000. The differences between the model MK5 and MK4 most visible from the front and interior of the vehicle. In the new model was changed primarily the front grille. Now she had an oval shape, and the logo of Ford, who was previously on the hood, went to the center of grille. Customers of the new Ford Transit had a choice of two gearboxes: one manual - a very popular MT75 and an automatic 4-speed A4LD. 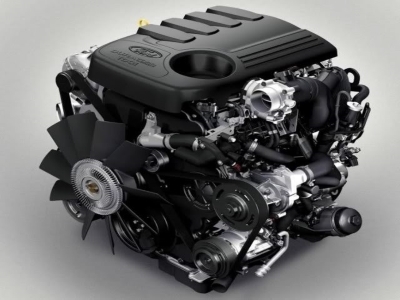 They co-operated with petrol engines: a 2.0L DOHC (115hp) and diesel: 2.5D (70hp, 76hp, 80hp), 2.5 TD (100hp, 85hp), and the diesel engine equipped with intercooler and a power 75hp and 85hp. Ford Transit MK5 like his predecessors, was produced in several body styles. We distinguish here all types, which we saw earlier, and so is this: classic van, Kombi Bus, van, chassis cab and double cab chassis. 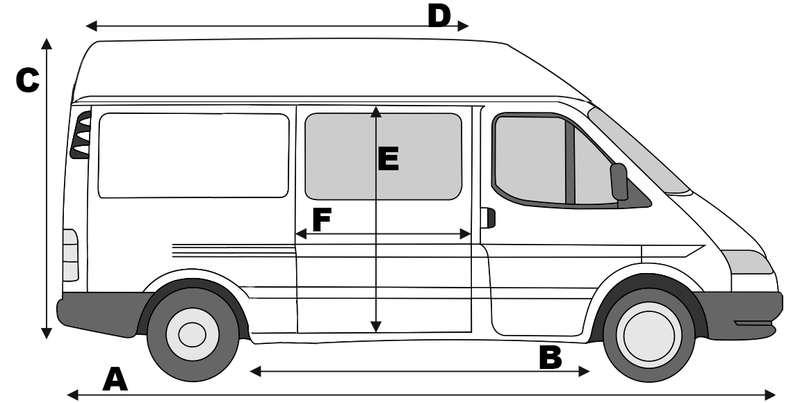 In addition, the Ford Transit MK5 performed with four wheelbases. Among them we distinguish: 2815mm, 2835mm, 3200mm and 3570mm greatest.